Suitable for those with advanced dementia or Alzheimer’s. 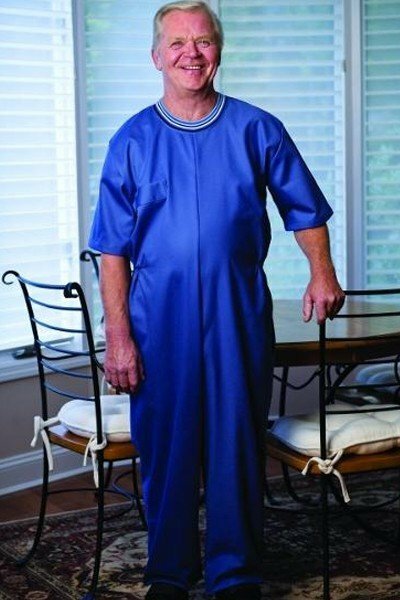 Specially designed to ensure modesty and dignity of those suffering with the impulse to undress at inappropriate times. Features a reinforced zipper back with security snap tab at back of neck. Sturdy cotton/polyester blend. Assorted solid colors.